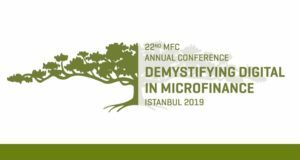 MFC’s Partnership Programme for Country Associations is an initiative that is expected to move the cooperation with country level microfinance networks to a new, strategic level. Last week Microfinance Centre signed strategic partnership with Association of Microfinance Institutions in Rwanda (AMIR). 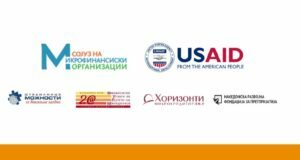 At the moment Programme is started with 12 country level associations, apart from the above-mentioned: MFO (Macedonia), AMFI (BiH), AMFOT (Tajikistan), AMFA (Azerbaijan), AMFI (Kyrgyzstan), UCORA (Armenia), AMA (Albania), AMFOK (Kazakhstan), CMF (Nepal), MNBFIA (Mongolia) and MCPI (Philippines). Association of Microfinance Institutions in Rwanda (AMIR) is the only umbrella body for microfinance institutions in Rwanda that seeks to build a flourishing microfinance sector through different areas of Advocacy and Information, Research and Development, Responsible Finance, Performance Monitoring and Capacity Building. Currently, AMIR’s membership covers 97% of the industry, serving poor and middle class families throughout the country. The mission of AMIR is to offer diversified services to microfinance institutions to enable them to work professionally and contribute to poverty reduction in a sustainable manner. The Government of Rwanda and its development partners have been implementing various projects in the financial sector, all aiming at transforming Rwanda into a middle-income country and boosting its economic growth to become a “financial hub by the year 2020”. Microfinance practitioners and stakeholders, who help to lead this endeavor, work tirelessly to maintain the ideal pace of development through executing policies and strategies that the Government has put in place. Read more.